I have been looking for information about good safety practices when dying with fiber reactive Procion dyes. You posted a response to another person inquiring about safety that referred to information from Dharma Trading and Prochemicalanddye.net. There appears to be conflicting advise online about this topic so your input would be much appreciated. using the kitchen for dyeing, I thought it was safe practice. Prochemicalanddye.net advised not to eat or drink were dyes are used. Likey I won’t use the stove to method again. If I dye again, I will only use my pot in the tub and clean there too. Any advise or guidance will be much appreciated. Thank you for all the information you have provided on your site! It is so helpful! I haven’t been able to work much lately, but I want to try to answer your questions. I believe that you should scrub your stove top and sink thoroughly with a mildly abrasive substance such as Bon Ami cleaning powder. Rinse thoroughly. (I’m sure you’ve done this or the equivalent already.) And then, don’t worry about it. I am much more concerned about easily scratched surfaces, which are difficult to get clean, so I would not recommend ever reusing a plastic surface for food, but an impervious surface, such as stainless steel, porcelain, or glass, can be cleaned pretty effectively. Not enough that we would trust it to remove all traces of truly dangerous substances such as hydrofluoric acid, or mercury compounds, but effectively enough for reasonably safe household chemicals such as Procion dyes. Of course you should clean until no trace of color is visible, and then clean more, after that; this should be sufficient to reduce any possible contamination with the dye to very low levels. Which are the safest dyes to use? What kinds of dyes are too unsafe to use? Procion dyes do not contain known carcinogens such as benzidine or o-dianisidine. We try to be careful, though, because there’s no telling whether some of them might turn out to be bad when ingested or inhaled. Unless a dye has been safety-tested, it should be treated as though it is dangerous, even if it seems likely that it is not very dangerous. Consider the many different food colorings that have been used in processed foods for years, only to be banned after it’s found that they may slightly increase the risk of cancer in those who have eaten them. There are other types of dyes that I do not think you should ever use in your kitchen, specifically a kind of dye called basic dyes, or cationic dyes, or another kind of dye called naphthol dye. Like the old versions of All Purpose dyes, they are known to contain carcinogens or mutagens, and therefore present a much higher risk. The shocking thing, to me, is that the safest of tattoo pigments are similar to some of the chromophores used in Procion dyes! No tattoo pigments have ever been tested to determine whether they are safe when used in tattoos. After all the effort we go to to keep from excessive exposure to the dyes we use on textiles, many people are having similar pigments, and far worse pigments, injected right into their skin? Other tattoo pigments contain carcinogens and toxins such as PAH (polycyclic aromatic hydrocarbons), which since before recorded history have always been a part of black tattoo inks, and heavy metals such as chromium and cadmium, all of which are far more concerning at even low levels than the fiber reactive dyes we work with. Dangerous substances are not found only in the chemicals everyone knows to be concerned about. We can also find polycyclic aromatic hydrocarbons in the char produced when food is cooked at high temperatures, as well, including the mess produced when food boils over on the stove and gets scorched by the heating elements. (Grilled food will contain lower levels of carcinogens if the food is marinated first.) Household chemicals such as chlorine bleach, and those that contain it such as dishwasher detergent, are more dangerous than Procion dyes. It’s safe to use bleach on food preparation surfaces only because you rinse it away after using it. Overall my advice is to try to make efforts to prevent any textile dyes from remaining in food preparation areas, to maintain a clean work area and keep separate pots for dyeing use, but, as long as you are doing all these things, and are avoiding the more dangerous classes of dyes (which you’ve never used anyway), don’t worry too much. This entry was posted in dye safety, Uncategorized on February 26, 2019 by pburch. Are “Greener Shades” dyes really safer than other acid dyes? Message: Hi Paula, I would like to read your article on Greener shades dyes vs acid dyes, but it not available on your site, can your help, please? I have been looking for MSDS on these dyes online, with no luck. The dyes are not available in Denmark, but I would like to find out if they really are safer than other acid dyes. Hi Kathe, I was able to find the article you were looking for. Unfortunately I have never been able to resurrect the Dye Forum, but the Internet Archive has, wonderfully, made a record of its old postings. Here is the original query, followed by my lengthy response, and another dyer’s followup message…. The Greener Shades dyes are chrome-free acid dyes, but, 1, that’s true of many dyes already on the market, and 2, chrome-containing premetalized dyes are not all that bad, at least when used in the small quantities needed for hand dyeing. The fact that the Greener Shades company does not give any Colour Index names or any other generic names for their dyes makes it impossible to know whether to trust their MSDS forms (which incidentally, are very confusing, apparently ranking midnight black as both severely hazardous and perhaps not hazardous at all – very bad MSDS writing!). Apparently the Greener Shades do not have Colour Index names at all, which makes me suspect that they might be too new to have had thorough safety testing. They list their Organic Processing Compliance Testing Results, but apparently these refer only to heavy metal content, and say nothing else about the safety of these dyes for the environment! There are plenty of dyes which are free of significant metal content but which will kill fish if they get into streams. If a dye persists in the environment and is toxic to animals, plants, or microbes living in it, it would be no better than a dye that contains a little heavy metal. What bothers me the most about their claims is that, while their MSDS pages give too little information to reassure me, they have no safety testing certification at all. I need to know what the generic names for dyes are, so that I can look them up elsewhere to find out whether they pose any particular hazard. Since Greener Shades does not give this information at all, we can have no idea how safe these dyes really are to use. Chrome dyes, by the way, are a class of synthetic dyes that are mordanted, as natural dyes can be, with dangerous carcinogenic hexavalent chromium (sold as potassium dichromate). They have both better leveling AND better washfastness than other classes of wool dyes, where normally a wool dye’s leveling is inversely proportionate to its washfastness, and vice versa. However, I do not recommend the use of chrome dyes by artists (not that any of us have a good source for buying them), just as I do not recommend the use of natural dyes that are mordanted with chrome. There’s too much risk of exposure to the hexavalent chromium, and such a large amount of the hexavalent chromium in the mordanting process is used that it’s bad for the environment, as well. Metal complex dyes, or premetalized dyes, which includes many of the Lanaset dyes, are NOT dangerous like the chrome dyes and the natural dyes that are mordanted with chromium. Metal complex dyes have a smaller number of chromium atoms included in their molecular structure, and they are in the vastly safer trivalent form. Only the hexavalent form of chromium is a known human carcinogen. Incidentally, most exposure to hexavalent chrome occurs in applying industrial processes that do not include textile dyeing. 2. If you want to avoid heavy metals, use only those Lanaset dyes which are metal free (see my page, Which Lanaset dye colors are pure, rather than mixtures? ), or use other classes of acid dyes which do not contain heavy metals, such as most of the WashFast Acid Dyes (with the exception of the Jet Black, which is a premetalized dye). 3. If you order from Greener Shades, insist that they give you certification of environmental safety testing, not only for lack of heavy metals, as provided by a named third party company, but also for the potential environmental dangers of the specific dye molecules used. Do not ever accept vague claims of safety that are not backed up by a certification and the contact information for the company that did the testing, because it’s so easy for a company to make claims that are not backed up by any proof. To find out whether the acid dyes you use contain heavy metals, check the MSDS information for them. Your dye supplier should give you this information; both ProChem and Dharma make things easy by supplying them on their website, but others will send you the MSDS with an order, or following an order, for whatever you have purchased from them. You could also post about your favorite dyes here, so we can discuss their safety. If a dye contains a heavy metal in its chromophore, it’s probably only a problem when it is used in large industrial quantities. There is absolutely no reason, for example, for a hand dyer to worry about the 2% of the weight of turquoise dyes that is present as copper; almost all good bright turquoise dyes contain a copper atom in their chromophore. (This is true of the Greener Shades aqua color, as well!) The copper ion remains bound in the dye molecule until it is broken down, and it is not present in harmful quantities unless you are running a large dyeing factory. The salt used with the dye is probably of larger concern, environmentally. You mention vat dyes. The environmental and safety aspect of using vat dyes, such as natural indigo, is that you must use significant quantities of lye and other chemicals, unless you are using one of the very slow and less predictable fermentation baths; however, these chemicals are not bad once their pH has been neutralized. Vat dyes do not require mordants. In most lines of dye, a few colors contain small amounts of heavy metals such as copper. Other colors often do not. This color does contain copper and does not meet organic specs. This info is buried on the Greener Shades FAQ page, http://greenershades.stillrivermill.com/faq.php. But this info is hard to find and not front and center on the main page. Further if their non-toxic quality is the reason for selling them as “Greener shades” why is it being sold at all? Many dyers are shocked to get this info after using them. I can’t, as I write this, view the Greener Shades website because for some reason my web browsers are telling me that the site is not safe to connect to, so I can’t see if their current claims have changed at all. However, the Greener Shades Dyes FAQ is printed on the website for the C & M Acres Fiber Mill; it claims that the dyes are safer solely because they do not contain metals, although in fact one of them does, and metals are not always a significant danger for dyers. Furthermore, there are many dyes which are quite dangerous to use, in spite of their being free of heavy metals, such as some of the Naphthol dyes; I’m sure that the Greener Shades dyes are much safer to use than the more dangerous of the Naphthol dyes, but the fact that they are metal-free is irrelevant with respect to the many dangerous organic chemicals that exist. We need Greener Shades to supply more proof of the safety of their dyes, before we can have any reason to believe their claim that their dyes are safer. There is one group of acid dyes that are probably safer than other acid dyes, which are the food coloring dyes. Unlike (as far as we can tell from the information they supply) the Greener Shades dyes, food coloring dyes have been proven to be quite safe to work with, because they have been tested for being reasonably safe even when eaten (though I confess to feeling that people should not eat them often, and certainly never in the quantities found in a confection called Red Velvet cake). See my page, “Using Food Coloring as a Textile Dye for Protein Fibers“. You are also always welcome to ask me to help track down any information I can find. This entry was posted in acid dyes, dye safety on May 8, 2017 by pburch. 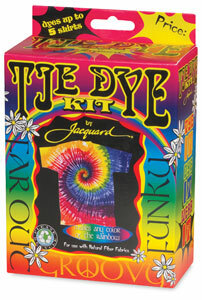 Do turquoise acid dyes contain chrome? I had thought turquoise acid dye had chrome in it. Someone told me they don’t use chrome anymore. I couldn’t see anything on your site. Do they still use chrome? Dozens of at-a-glance tables and charts present vital information about art materials, ingredients, technical hazards, proper protective equipment, and safe work practices simply and accurately. Includes lists of dyes to avoid. Chrome is certainly still used in many dyes. It’s invaluable for making long-lasting dyes for wool, dyes that are resistant to washing and fading. Chrome that is contained in the molecular structure of a dye, as in the metal complex or premetallized acid dyes, is far safer for us to use, and for the environment when we dispose of any excess, than the use of chrome as a mordant. I strongly recommend against using chrome as a mordant, but it is not difficult to safely use chrome-containing acid dyes. Chrome mordants are far more dangerous than chrome-containing acid dyes for two reasons: they contain the carcinogenic hexavalent form of chromium, instead of the safer trivalent form found in the metal complex dyes, and the quantity of chromium present is vastly greater in the chrome mordant solution than in the metal complex dyes. The old Kiton acid leveling dyes included a turquoise-colored acid dye called Erioglaucine, whose generic name is Colour Index Acid Blue 9. This dye never contained chromium. ProChem no longer sells the Kiton dyes, but the dyes are still used in such lines of acid dyes as Cushing and Landscape Dyes, though no specific information as to which dye types are included in which colors. Interestingly, Acid Blue 9 is the exact same dye that is known as FD&C Blue #1 or E133, which is popularly used in artificially colored candies, drink mixes, and the blue alcoholic liqueur curaçao. This is the dye you’re using when you dye wool with unsweetened blue Kool-aid. Alphazurine A, or Acid Blue 7, is a popular blue acid dye which ProChem sells as their Washfast Acid Blue 478, Jacquard Products sells as their Jacquard Acid 624 Turquoise, and Dharma Trading Company sells as their Dharma Acid 407 Caribbean Blue. Like erioglaucine, alphazurine A is an acid leveling dye, which means that it is not particularly washfast, but it is easy to use to produce smooth level solid colors. This dye, too, never contained chromium. Among the Lanaset line of acid and reactive dyes for wool, ProChem sells Sabraset Turquoise 480, and Maiwa sells the same dye, as Lanaset Turquoise 5G. While some of the dyes in the Lanaset dyes do contain chromium, the turquoise does not. This dye does not have a Colour Index generic name, but we know its full chemical name, which indicates no heavy metal component. The MSDS also indicates no heavy metal content. There are many turquoise dyes that are based on the beautiful copper phthalocyanine ring, which has a large flat molecule structure similar to that the the hemoglobin ring in blood or the chlorophyll ring in green plants. (Each of these rings has a metal ion in the center; where phthalocyanine has a copper atom in the middle, hemoglobin is centered on iron, while chlorophyll is centered on magnesium, and the pink molecule of vitamin B12 is centered on an atom of cobalt.) There is no substitute for copper phthalocyanine if you want a particularly bright clear turquoise; all of the best bright clear turquoise dyes, of whatever class, are based on this structure. None of these phthalocyanine dyes contain chromium, as they use copper, instead. The amount of copper in the copper phthalocyanine dyes is only between 1% and 5% of the dye, by weight, not enough that we have to worry about toxicity or environmental damage being caused by it. As a general rule, only those dyes which are classed as premetallized, or metal complex, contain chromium. (The phrase ‘metal complex’ refers to the exact same dye class as the word ‘premetallized’.) These dyes tend to be exceptionally washfast and lightfast, but usually duller in color than the leveling acid dyes. An excellent example is the black dye contained in Lanaset Jet Black (in combination with another dye), as well as ProChem’s Washfast Acid Black 672 and H.Dupont’s Noir Concentre. These metal complex dyes are so wash-resistant that they are washfast even in hot water, at 140°F, rather than only in cool water like other types of acid dyes. The “Cr” in the center of the chemical structure, below, for Acid Black 172 stands for the chromium atom that helps to make this such a permanent dark black dye. As far as the safety of the hand dyer is concerned, I feel that there is no need to worry much about whether or not a particular dye contains chromium. You should be cautious never to eat or breathe any textile dye, and always wear gloves when working with it (though obviously you can be more relaxed with Acid Blue 9, since it has passed safety testing for use as a food dye). It is always especially important to avoid inhaling dye. The quantity of chromium in good-quality dyes is low enough that ordinary caution is adequate, when working with small quantities. For example, I calculated, in the October 6, 2006 entry in my blog, that one teaspoon of Lanaset Black B dye powder contains 0.08 grams of chromium, which after being diluted with fifty gallons of water, as when discarded down the drain with household waste water, will meet the US EPA standard for chromium content of drinking water in the US, which is 100 micrograms per liter. 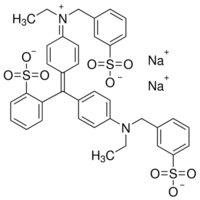 This is in the trivalent form of chromium, which is far less hazardous than the hexavalent form of chromium. In contrast, I recommend strongly against using chrome as a mordant in hand dyeing. The chromium in potassium dichromate is in the carcinogenic hexavalent form. One recipe (in Liles’s Art and Craft of Natural Dyeing, 1990) calls for 10 grams of potassium dichromate per pound of wool, in a five gallon dyebath. This is a very large amount of chromium, compared to the amount of chromium in a metal complex dye, and it is in a far more dangerous form. This quantity, if swallowed, is enough to kill several people; lower doses, whether swallowed, inhaled, or absorbed through the skin, can cause severe burns, blindness, birth defects, kidney damage, cancer, and other harm. (See PubChem.) The chromium that becomes a part of the dye-fiber complex is transformed to the trivalent form, but the risks of working with potassium dichromate in the home are too great. This entry was posted in about dyes, acid dyes, chemistry of dyeing, dye safety on April 8, 2015 by pburch.